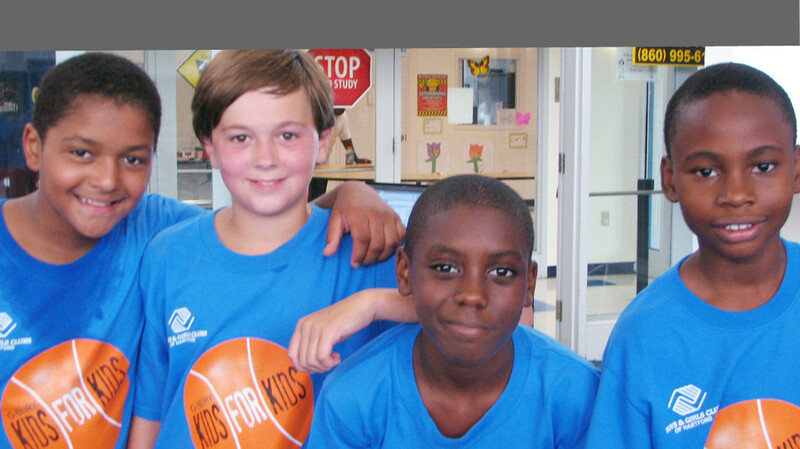 The core purpose of Kids for Kids CT is to teach kids the importance of philanthropy. We raise funds though an annual 3-on-3 basketball tournament in Glastonbury, CT, that give kids the opportunity to volunteer, organize, manage, and participate. Since we were established in 2013, we have raised and donated over $120,000 to help kids. Our focus: local kids helping other local kids. Although we want to give wherever kids need help, our major focus is on local kids helping other local kids who are less fortunate, right here in the Hartford region. We also support kids outside our region and one vital children’s cause internationally. Kids take an active role in helping kids in need. To make this a valuable learning experience, kids in the Glastonbury school system have some say as to where the funds go. For example, one thousand kids at Smith Middle School in Glastonbury recently voted to allocate $5,000 in raised funds to a group of selected charities that help kids. The kids wrote, in their own words, why they voted for that particular charity – the comments were real, engaging and from the heart. Additionally, this year we are going to allocate funds to the “winners” of each tournament bracket to allow them to allocate to the charity of their choice. Here’s a small sample of what Glastonbury kids said about the charities we support. OUTDOOR HOOPS FOR KIDS IN HARTFORD Kids for Kids CT along with support from Smith Brothers Insurance replaced a broken basketball backboard at the Boys & Girls Clubs of Hartford Trinity facility. 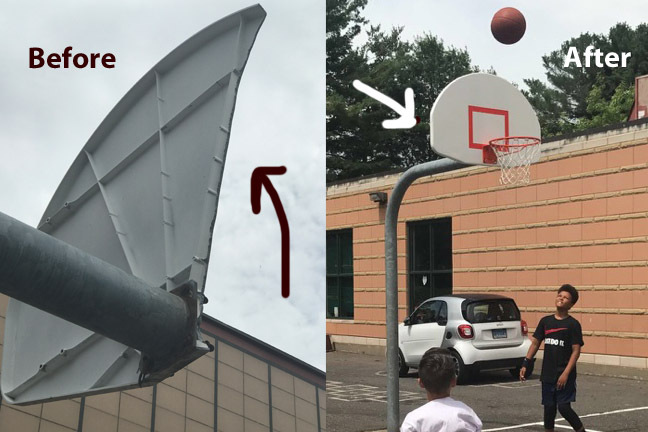 After the new backboard, rim and net were installed, kids came outside to shoot hoops. Lots of smiling faces – from the kids and from us knowing that we helped to brighten someone’s day. 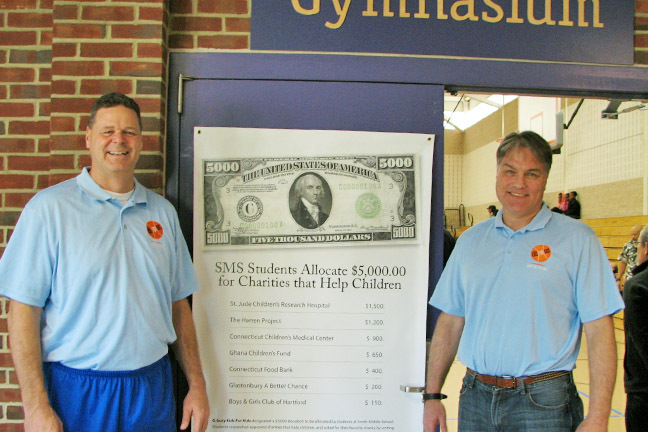 STUDENTS ALLOCATE $5,000 TO CHARITIES THAT HELP KIDS Joe Smith, board member, and Tim Sellew, executive director, with poster showing how Smith Middle School students allocated $5,000 to charities that help children. 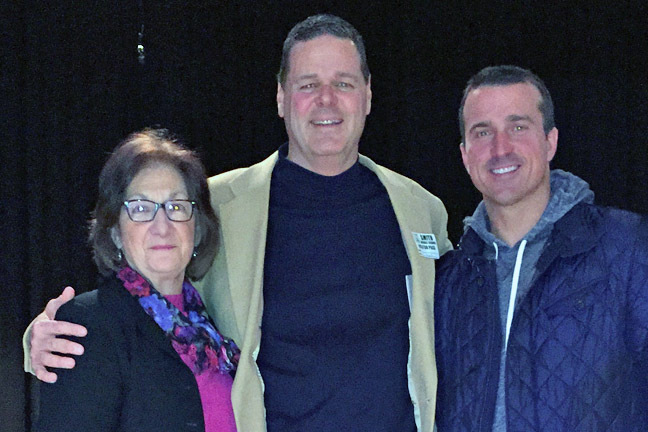 FORMER NBA BASKETBALL STAR TALKS TO KIDS ABOUT DRUGS AND ALCOHOL Donna Schilke, former principal at Smith Middle School; Joe Smith, board member; and Chris Herren, founder of The Herren Project. Kids for Kids CT sponsored Herren to speak to students in Glastonbury as well as East Hartford about his experience with substance abuse during his NBA basketball career. Herren was invited back multiple times and it was always a packed house! Always a powerful presentation for the kids. 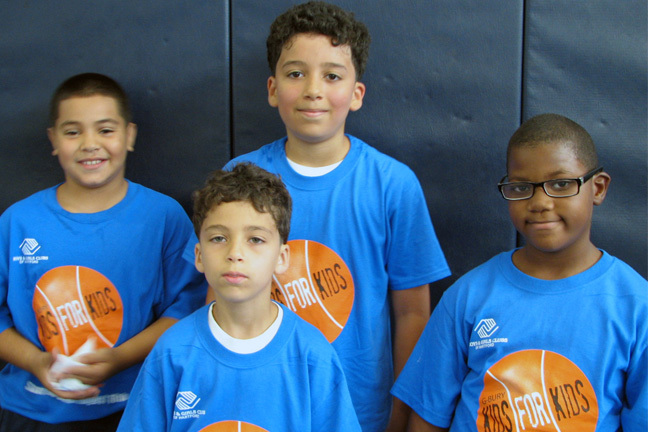 BOYS & GIRLS CLUBS OF HARTFORD Kids for Kids CT sponsored a basketball tournament for Hartford kids. It was a full day of family fun and trophies for the winners.